Interview with Leo Fang Jianyong | JustRunLah! Having started running at a very young age, Leo has come a long way as an athlete and setting a national record. During this interview session with Flight Centre Active Travel, Leo inspires us with his determination for success . FC Active Travel: Leo, thank you for agreeing to do this interview with Flight Centre Active Travel Singapore. For a national athlete and a SEA Games representative, you have indeed taken a very unique path. Not only are you self coached, but you have also run good times in every event from the 800m (1:53) to the marathon (2:38). Please tell us a little about your journey as an athlete. How did you start running, and why the diversity of events contested? Leo: The pleasure is all mine! In Primary School, I was picked by my physical education teacher to join the Track and Field club and thereafter started representing the school. 800m is my pet event, while running long distances gave me a great sense of satisfaction and achievement. I also believe that having the opportunity to try out the range of events during my schooling days gave me the confidence and affirmation that I can excel in any discipline if I’m willing to put in the hard work. FC Active Travel: Please tell us a little about you being self-coached. What is your coaching philosophy? What are the advantages and disadvantages of being self-coached? Any athletes/coach you model your training philosophy after? Leo: I started training on my own towards the last year in Polytechnic and throughout the two years in army. It is definitely not easy right from the start as I’m so used to getting spoon-feed by my former coaches. And most of the time we do not question or get told why we are doing a particular set of workout, and in that sense we are missing a lot on understanding the science behind our running. I believe self-coaching let me get the most out of this running journey. From being more responsible in taking up the ownership of my workouts to being more disciplined in carrying out them. There are also more benefits to self-coaching. To name a few, no one knows our weaknesses and strengths better than we do, the flexibility in planning the workouts to suit our schedule and you’re able to race as frequently as you wish! On the flip side, not having a coach to give you constant advices and monitoring, helping to path the way towards your goals might be tough, especially those new to running. I wasn’t self-coached right from the start and I wouldn’t be able to do it without the teachings from my former coaches. If opportunity presents itself, I’m still willing to go under tutelage of a coach that can help me reach my full potential! Personally I like the legendary distance coach, Arthur Lydiard’s way of training. He focuses a lot on strong endurance base and periodization and my body reacts well with it. FC Active Travel: Runners often feel that training in groups beats training alone. What is your view on this? Do you mostly train alone or in a group? Any favourite runners you like to train with and why? Leo: I’m not against this saying but rather I’m an advocate of group training. The same pace magically feels easier when done in a group and there’s someone to cheer you on when the going gets tough! I usually do my track intervals with my running group, consisting of Ying Ren (now training in Colorado, USA), Russell Ericksen, Kien Mau, Colin, You Boon and Danny. I love how we might be training for different events, but still able to work together towards our separate goals. If I had a chance, I would like to train with the Dibaba sisters or Jenny Simpson. It always motivates me knowing how fast these ladies are running! FC Active Travel: So you’ve set a national indoor record in the 800m and represented Singapore at the SEA Games in the 1500m, but have also run a highly-respectable 2hr 38min at the 2014 Gold Coast Marathon. Tell us, where do you think your future lies? Road or track? You seem to prefer racing on the roads even with your success on the track, any reasons why? 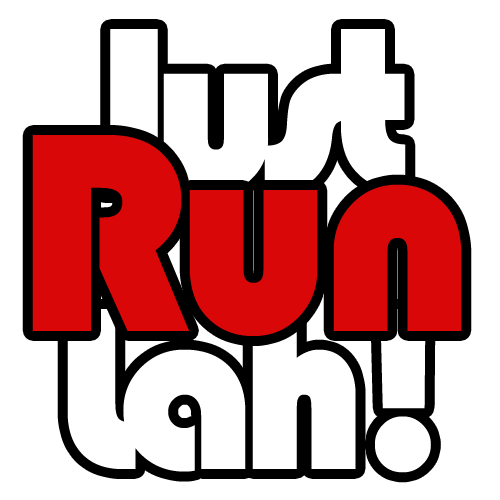 I would probably still be doing the middle distance events until 2017 SEAGames at least and one or two road races during my base phase. No real preference over track or road racing. On the track, we’re racing for personal bests or trying to do the nation proud most of the time. While on the road we are running as part of the bigger running community. Both present their own set of challenges and rewards. But I’ll see myself doing more road races in the long run when my legs aren’t able to take anymore hammerings from the speed workouts! 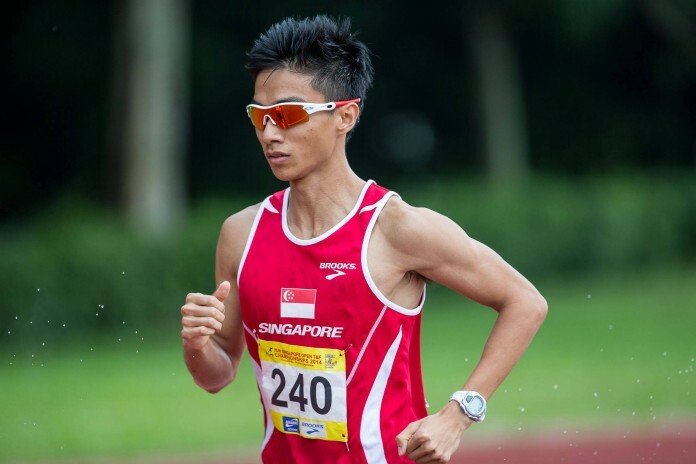 FC Active Travel: SEA Games marathon champion and FCAT Singapore athlete Soh Rui Yong has spoken highly of you as possibly the most talented and most versatile athlete in Singapore today given your impressive range. Would you agree with that statement? Should there be an exhibition race for running fans, what do you think would be a fair distance for both of you to square off at? 1500m? 2.4km? 3000m? Leo: Haha thanks bro! I wouldn’t say I’m the most talented but probably one of the more driven and passionate one in the local running community. 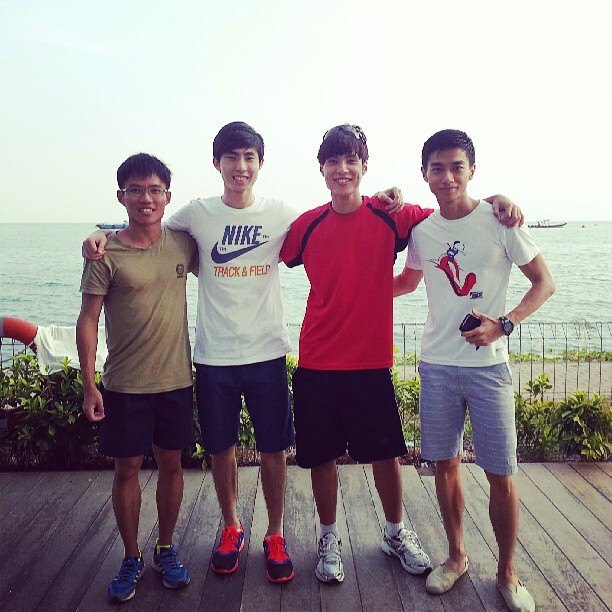 I’ve seen as versatile runners such as fellow middle distance runner, Hua Qun, Mok and Rui Yong himself! 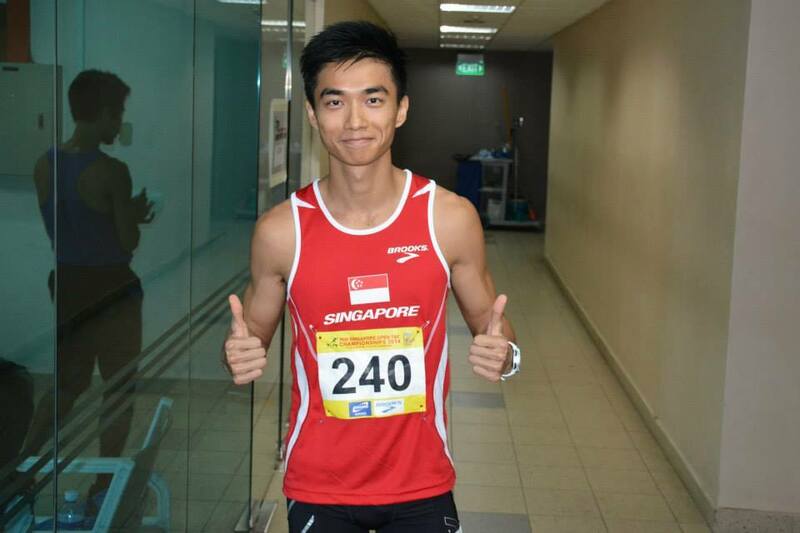 FC Active Travel: Any training tips for members of the Singapore running community who look to you for advice? Leo: Make running a way of life. Whether it is for the friends you meet up during running sessions, the adrenaline you get from running fast, running far, or the satisfaction you get from beating your own personal bests, find your own right and joy in running! FC Active Travel: Thank you for your time Leo! Any parting words? Leo: When the going gets tough, look back and see how far you have come!